Never in a million years would I have anticipated this month's Bee Sewcial prompt from Silvia/A Stranger View: BONES and Structures. 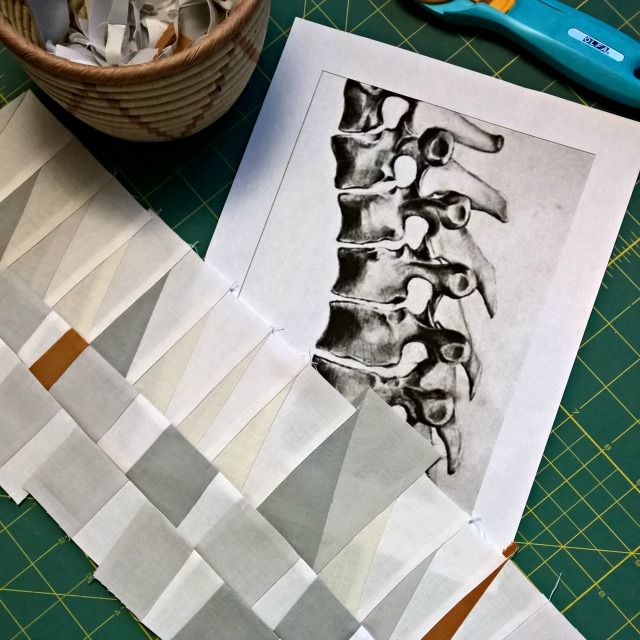 Yeah, no matter how many times I perused Silvia inspiration pin board, it was always the photos of bones that garnered my attention, not those of structures. I was surprised, as I usually notice building details and such, but it was a specific photo of a spine that I kept going back to. The first phase in fabric developed easy enough, but then I was a little stuck. In fact, I added a section, then cut it off and rethought my direction. Finally, I settled on more "spinal segments", as a nod to how repetition is often used in structures. 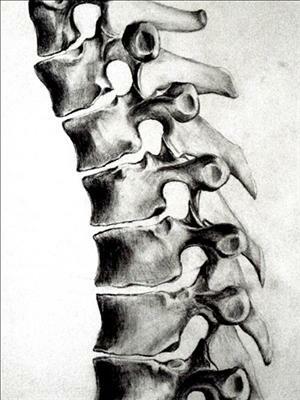 One element that I had in mind from the start were the 'circles' in the spine photo. 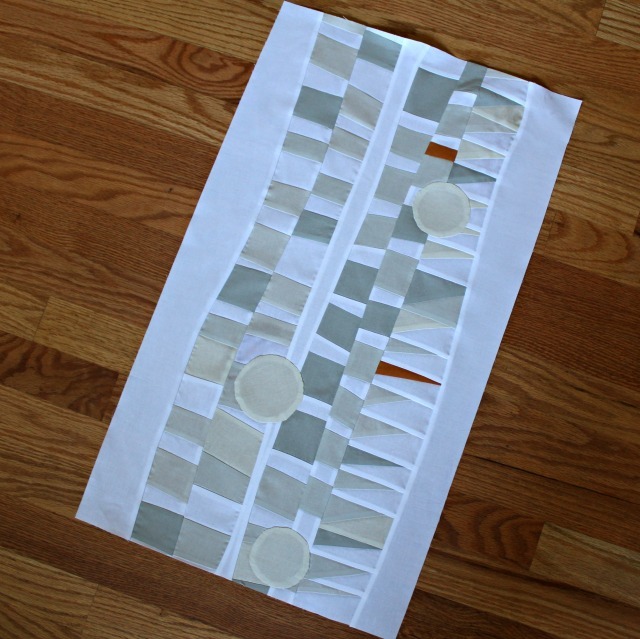 Rather than going too literal, I appliqued just three circles scattered across the block. With the option of 2 - 12 1/2" blocks or one 12" x 24", I almost always go for the one larger block. This one ended up at 15" x 26", with a little leeway for trimming as needed. So that was interesting! And as usual with Bee Sewcial, challenging yet satisfying. Now into the mail it goes! I love the circles that you added. In my previous life as an aircraft structural engineer, I had to deal with all the "holes" that inevitably are needed to run wires and systems through a structure, and so these circles are deeply meaningful to me. This was another interesting prompt! I instantly was drawn to your piece. I'm going to go and stalk everyone else to see what they have done...this will be an interesting quilt!! What a challenge ! You've been very creative Debbie and I love how you dealt with the theme. Love you interpretation. I think I am still too literal in creating my improv blocks but seeing and reading more about others process helps :) So thanks for your insights.